Either you walk from Tasch to Zermatt or from Zermatt to Tasch, this is one of the beautiful walk. 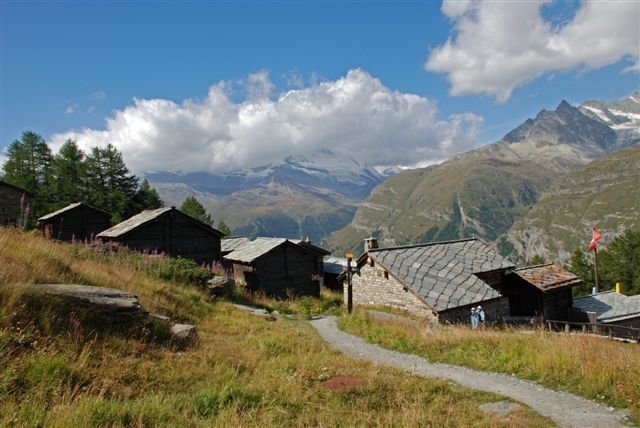 This walk presents the most famous and also the most beautiful mountains around Zermatt with the view of the Matterhorn, Breithorn and Weisshorn. 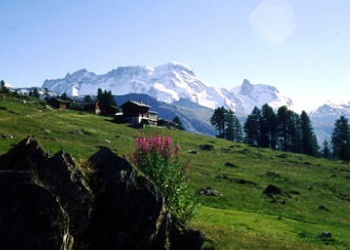 It is true that the ascent from Tasch to Taschalp is splendid, however adding this stretch to your walk would considerably increase the effort demanded. The total height difference would be 1050 metes of altitude and the length would be a good 17 kilometers. Because of this, it might be best to first ascent using the shuttle taxi unless you have two days to spend a night at the Taschalp. In both cases, you are assured of a leisurely walk and can savour the excellent panoramic view. During autumn, you can enjoy the attractive foreground with the larch trees displaying their blazing yellow hues. 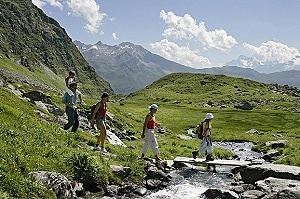 The grade of walk is fairly easy mountain hike along a good footpath and some crossing of precipitous slopes. The height difference isn’t that big, with 310 meters in ascent and 890 meters in descent. The time of walk is approximately 4 hours and 15 minutes give or take. You can have nice refreshments at Tasch before the nice hike or get something to eat at Zermatt after or viseversa. Either way, it is an excellent hike! The starting point for this hike is from Taschalp at 2185 meters. From Taschalp, head about 200 meters up the valley and then cross the bridge over the Taschbach. Here, a mountain trail forks off which crosses over Ober Sattla which has a fantastic view. Then continue on the level through the northern slope of the Sattelspitz, heading down the valley. High above Tasch, the trail then turns southward, crosses a short steep ledge and then leads through splendid stands of larch at the tree line, with the most splendid views of the Weisshorn and the Matterhorn. From here you can descend directly to Zermatt along a lovely woodland footpath. If you want you can continue your walk to the Sunnegga which has the view of the basin of Zermatt which is even more beautiful and you can even get a glimpse of the area around the Findeln Glacier at the end. The broad trail leads slightly below the cable car terminus at Sunnegga and passes the pretty Leisee Lake and then descends to Findeln. Finally enter a forest and reach Zermatt.